2-way SMS Messaging allows volunteers to reply with a ‘Yes’ or ‘No’ to confirm or decline being scheduled on to a service. 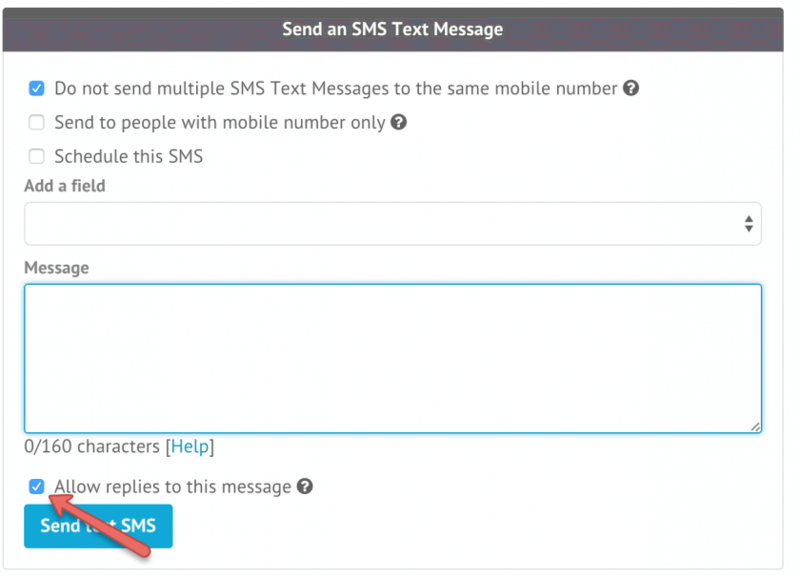 It also allows people to reply to SMS messages sent to them from your Tithe.ly ChMS account. There are limitations to this, however. We recommend you familiarize yourself with these limitations before choosing SMS as your method of contact. These limitations will not stop you from being able to send SMS messages, but we hope will help you make more strategic decisions before sending. We hope that in the future, SMS companies find ways to improve this service and remove these limitations. Most SMS companies will send your messages from a random number, unless you pay extra for a static number. Some companies will by default send from a static number though. If the provider you are using sends from a static number by default, then you will be unable to set a sender ID. You can add a Sender ID to your SMS messages so that rather than sending an SMS that is received from a random mobile number (which is used by default), you can send from a word or number instead. The issue with using a Sender ID is that recipients cannot reply to these messages, even if you use a mobile number as your Sender ID. This is a limitation put in place by the SMS companies themselves. After you add a Sender ID to your settings, you will see there is an option to allow replies to an SMS message as pictured below. When you allow replies to be sent to your SMS messages, your SMS will be sent from a random mobile number. If you do not need to receive replies, you can un-tick the check box and the message will be received from your Sender ID. Unchecking this box is recommend if you are sending out an SMS to people and you want them to easily recognize the SMS is from your church. The ability to send an SMS message to volunteers where they can reply Yes or No is a great time saver. Unfortunately there are some limitations you should to take into account before using this feature. When a reply is sent from a recipient, it is sent back to your SMS company. Your SMS company then sends that reply to our servers to handle. If you send out more than one SMS to a volunteer to confirm multiple services or positions, no matter what message they reply to, it will update the most recent service and position they were scheduled on. So for example, let’s say you scheduled the same volunteer on a Friday at 6pm and a Sunday at 8am, and then sent an SMS message for each of those services asking to confirm their availability. If the volunteer replies to the Friday 6pm service first, it will actually update the Sunday 8am service. This is because you scheduled them on this service last. And then, when they reply to the Sunday 8am text message, it will update the Friday 6pm service, because the Sunday 8am service has already been replied to. This is all due to the fact that the SMS companies do not give us any further information other than their mobile number and their reply message. Because the SMS companies only provide us with the mobile number, there is no way for us to determine who replied to the text message. This means that the same issue will occur here as if the member was sent two messages for different services. This issue makes it difficult if family members share the same mobile number, or more than one family member serves. If someone sends a reply to an SMS that does not contain the word ‘Yes’ or ‘No’, Tithe.ly ChMS will look up the user attached to the mobile number the reply was sent from. It will then email that reply to the person who last sent an SMS message. Another issue that can occur is if two text messages are sent from two different people, one after the other. If the recipient replies to the first message, the reply will be sent to the second person who sent a text message. As you can see, there are a number of limitations when it comes to 2-way SMS messages. We hope that as technology improves and the SMS companies give more flexibility, these limitations can be lifted. If you have any further questions about these limitations, feel free to contact our support team and we’d be happy to help.